Picture caption: "The members of 'Thumbs Up Productions' who have organised the Child Friendly Leeds Awards ceremony." The names of the people, places and organisations shortlisted for the 2015 Child Friendly Leeds awards have now been revealed. The winners will be officially announced at a prestigious awards ceremony which will be held at the Leeds City Varieties on the 29 January. There were an astounding 547 nominations received for the second annual Leeds City Council child friendly Leeds awards. This made selecting shortlist an extremely difficult job for the awards judging panel. Five winners will be chosen from the 25 nominees on the shortlist. British Gas, a major employer in Leeds, is sponsoring the awards this year. “Many of our 2,300 people employed in Yorkshire have young families, that’s why we are pleased to support the awards again this year. A winner in each of the five nomination categories will be announced at the awards ceremony at Leeds City Varieties on 29 January 2015. The whole event has been organised by a group of nine young people called ‘Thumbs Up Productions’ – some as young as 12 – who are currently busy making the final preparations for the prestigious awards ceremony which will be watched by an audience of around 350 people including a number of city leaders and VIPs. These will include the Lord Mayor, the executive member responsible for children’s services, Councillor Judith Blake and director for children’s services, Nigel Richardson and chief executive of Leeds City Council, Tom Riordan. Thumbs Up Productions have planned every detail, from the design of the trophies and decorations, to selecting the young performers from Breeze Has Talent who will entertain guests on the night. They are also responsible for hosting guests on the night. 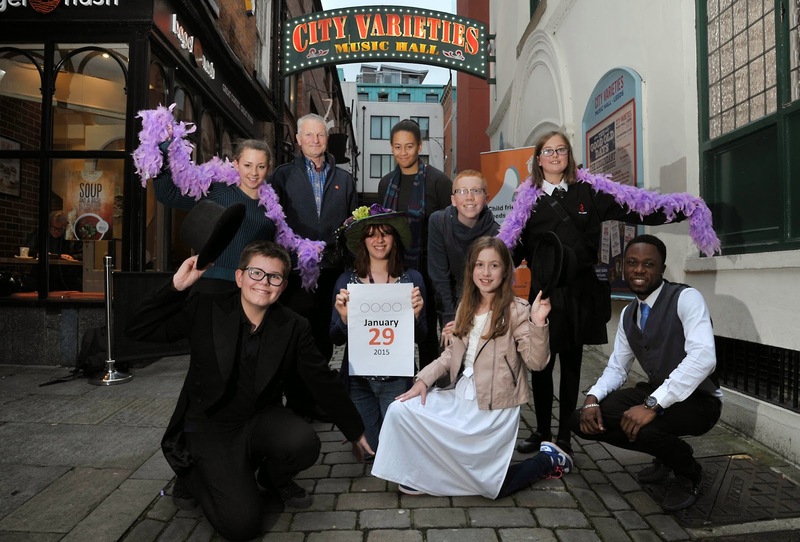 The awards are hosted by the Leeds City Varieties are sponsored by British Gas, run in partnership with the Yorkshire Evening Post and supported by Marks &Spencer and First Direct Arena. • A group of Leeds young people. For more information about the awards ceremony please follow @child_leeds on Twitter and use the #CFLawards hashtag.